The Human Sciences after the Decade of the Brain brings together exciting new works that address today's key challenges for a mutual interaction between cognitive neuroscience and the social sciences and humanities. Taking up the methodological and conceptual problems of choosing a neuroscience approach to disciplines such as philosophy, history, ethics and education, the book deepens discussions on a range of epistemological, historical, and sociological questions about the "neuro-turn" in the new millennium. 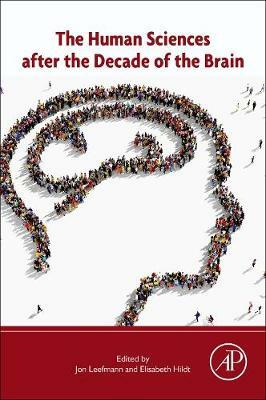 The book's three sections focus on (i) epistemological questions posed by neurobiologically informed approaches to philosophy and history, (ii) neuroscience's influence on explanations for social and moral behavior, and (iii) the consequences of the neuro-turn in diverse sectors of social life such as science, education, film, and human self-understanding. This book is an important resource both for students and scholars of cognitive neuroscience and biological psychology interested in the philosophical, ethical, and societal influences of-and on-their work as well as for students and scholars from the social sciences and humanities interested in neuroscience.